Orson Welles reprized his role of Harry Lime from the celebrated 1949 film adaptation of Graham Greene's novel The Third Man. The radio series is a "prequel" to the film, and depicts the many misadventures of con-artist Lime in a somewhat lighter tone than the character's villainy in the film. "That was the shot that killed Harry Lime. He died in a sewer beneath Vienna, as those of you know who saw the movie The Third Man. Yes, that was the end of Harry Lime ... but it was not the beginning. 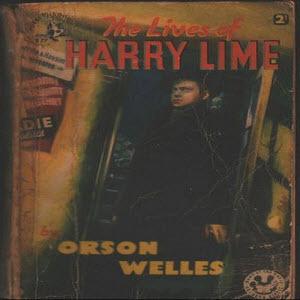 Harry Lime had many lives ... and I can recount all of them. How do I know? Very simple. Because my name is Harry Lime."